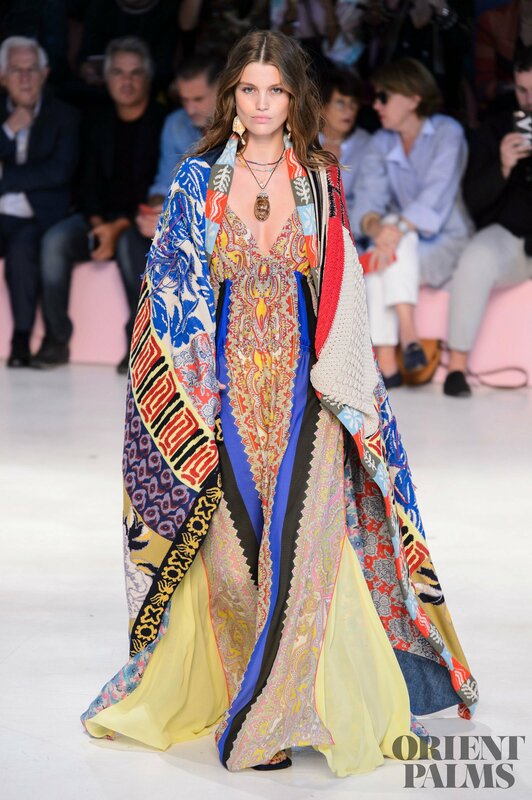 The Boho trend is still around this Summer, putting us in that holiday mood, allowing us to escape our world of bad news and climate change. 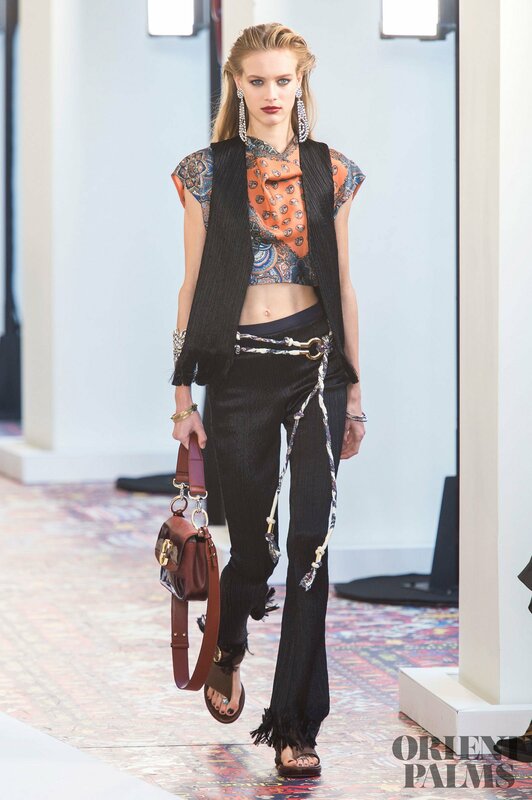 Chloé offers the busy urbanites a collection with a very French air, pairing huge diamond earrings and expensive-looking scarf prints with rope belts on fringed pants and a sleeveless vest. 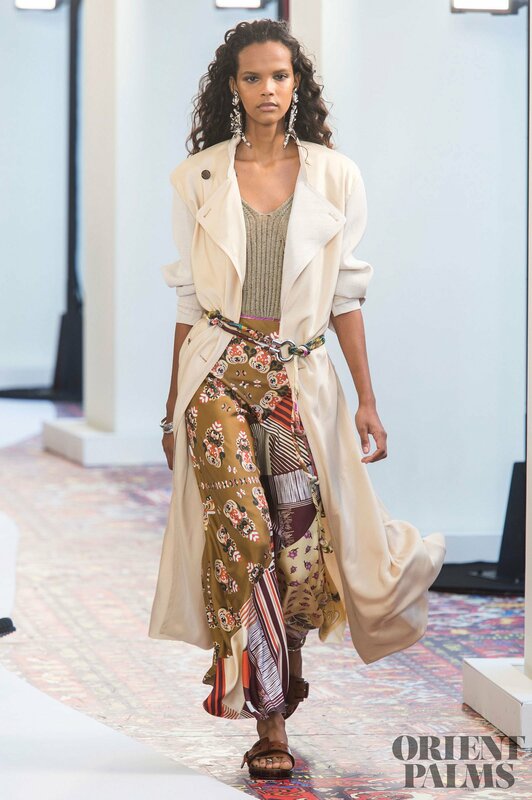 Yohji Yamamoto presents his dark gothic silhouette of a long cut-out outfit with a floor-sweeping coat and black hat. 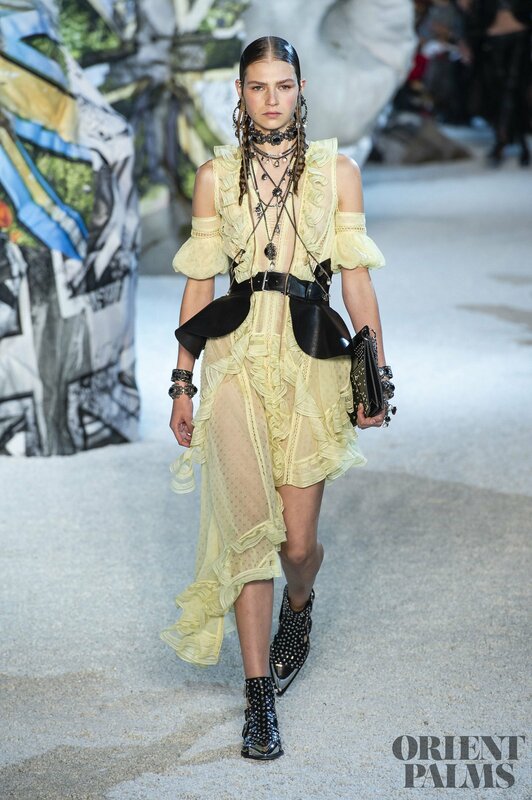 Alexander McQueen gives us his boho-rock feel where romantic ruffles mingle with chain necklaces and studded black shoes. 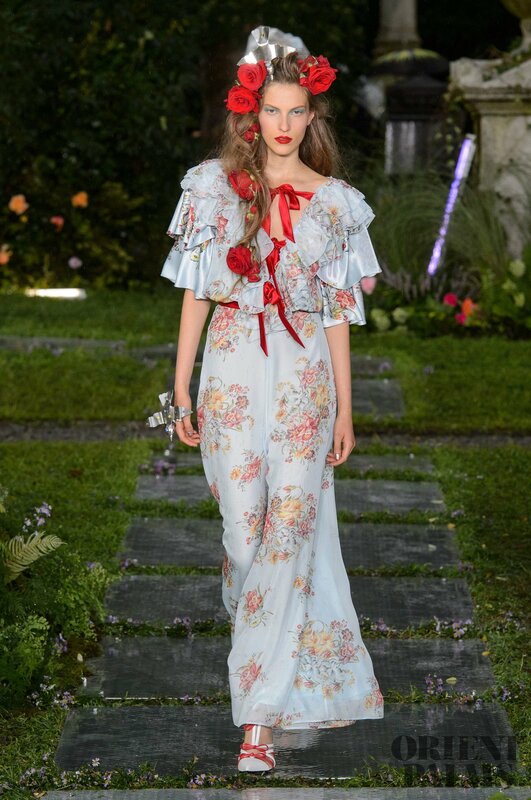 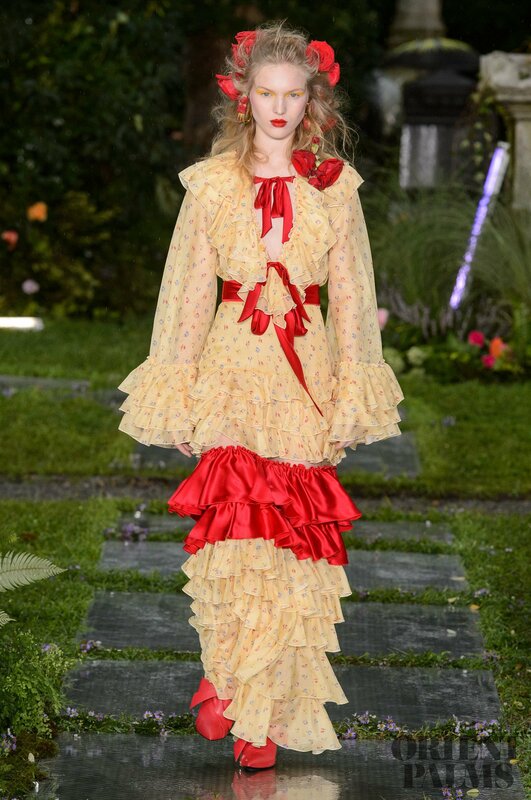 In contrast, Rodarte’s feminine overstatement with many ruffles and bows and flowers intertwined in the model’s hair plays on the doll effect. 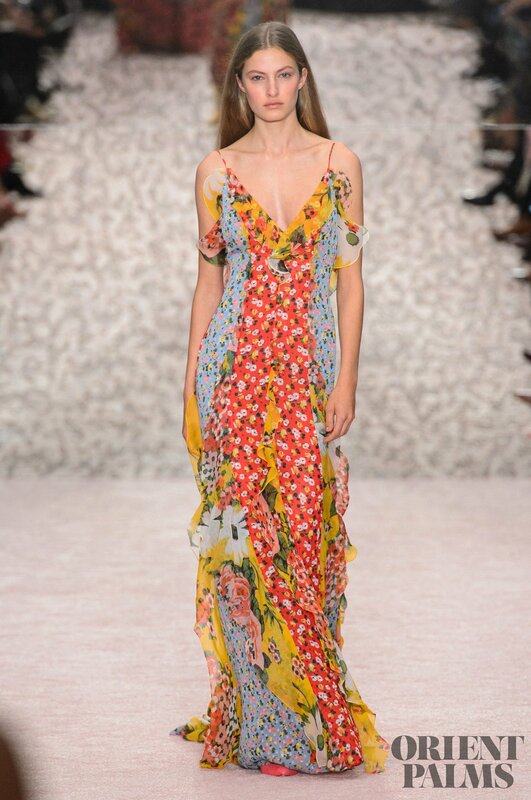 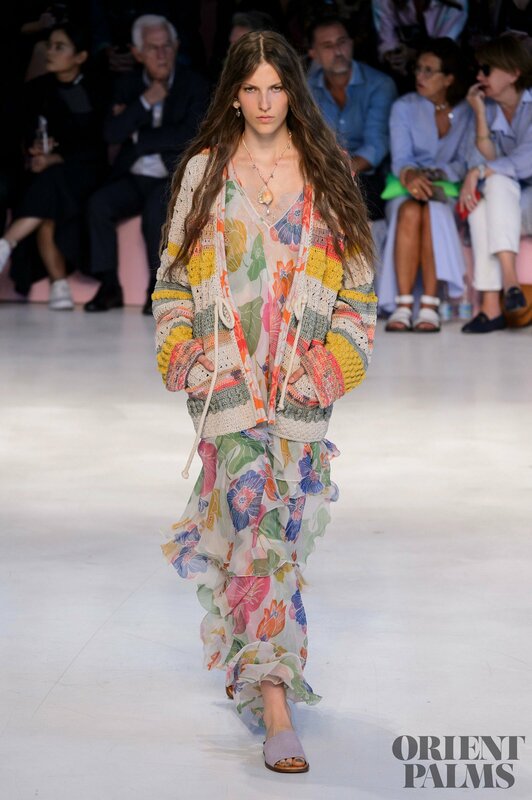 Etro pairs a knitted cardigan with a loose, long flowery dress and shows us a patchwork technique which is similar to the one Carolina Herrera uses in her flowing dresses and assemblages. 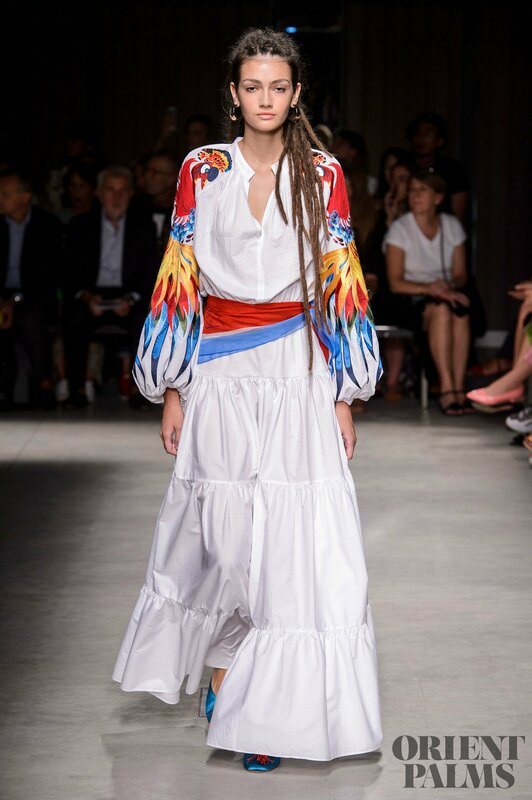 Stella Jean follows this theme of summery dresses with an even fresher look with the use of bright white, accompanied by colourful majestic sleeves and a sash belt. 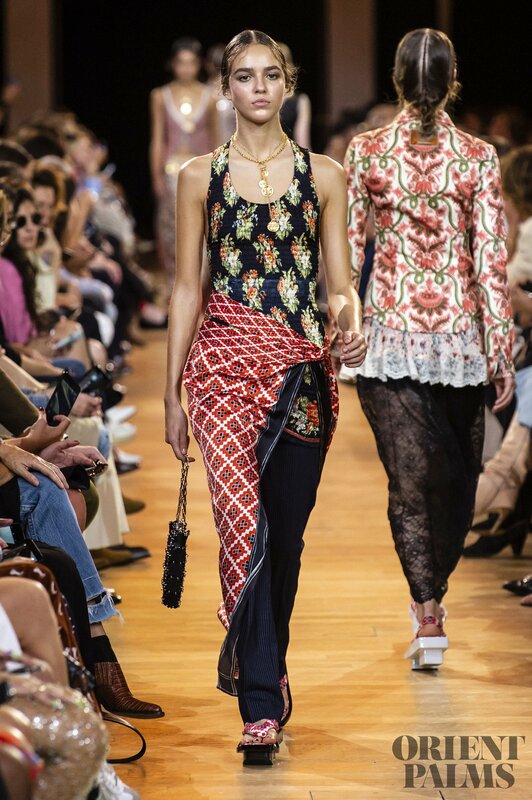 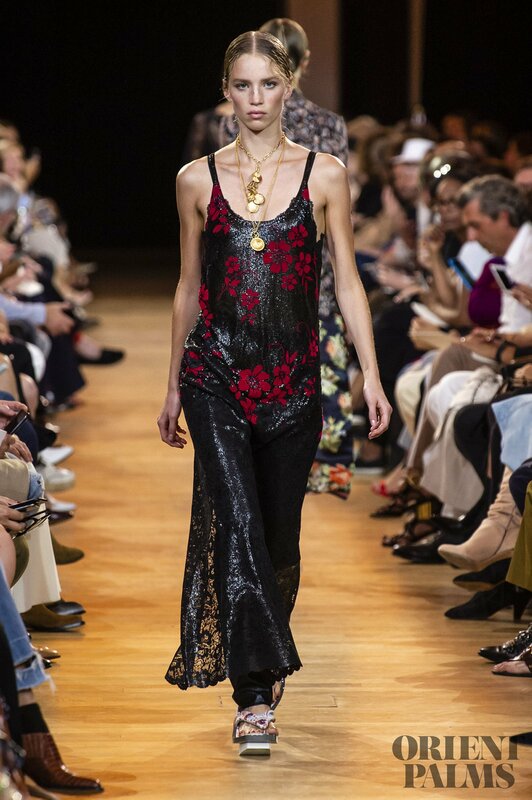 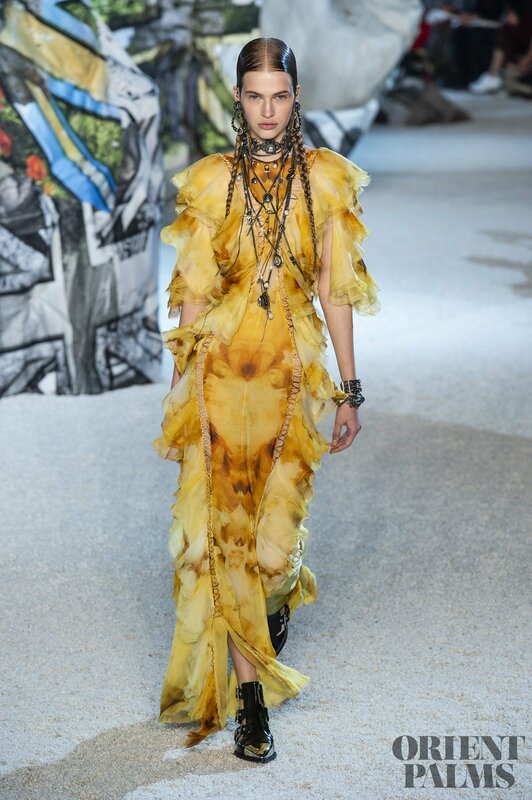 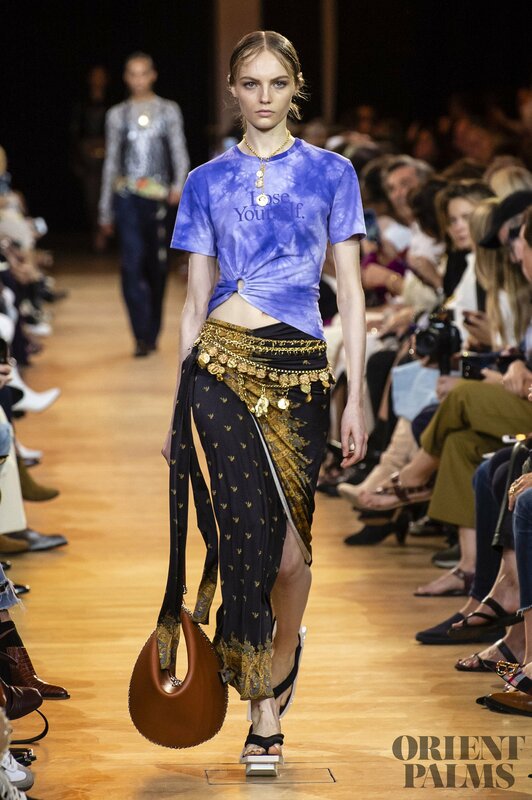 On a different note, Paco Rabanne shows us hippy layered outfits where long dresses are worn over skinny trousers and where patterned fabrics give a wrap-around effect.